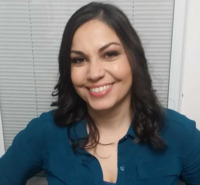 Dr. Alvarado graduated from Montclair State University where she completed her masters of art course work at the Hispanic Institute for Applied Psychology. She obtained her doctorate from the University of Hartford Graduate Institute Of Professional Psychology and specialized in forensic psychology. She was the former Director of Programming and site supervisor for the Cook County Sheriff's Women's Justice Programs and has worked for the Cook County Juvenile Court Clinic, United States Department of Justice-Federal Bureau of Prisons, Yale University School of Medicine, Whiting Forensic Institute and York Correctional Institute. Her forensic experience ranges from child protection evaluations (e.g., termination of parental rights, parenting assessments, and consent to adopt) and juvenile justice sentencing evaluations to adult evaluations (e.g., competency to stand trial, criminal responsibility, violence risk assessments, and psychosexual assessments). In addition Dr. Alvarado has extensive experience conducting diversity trainings and working with inner city adolescents. She is currently working with incarcerated adolescents at the Illinois Youth Centers and is a consultant for The Center for Applied Psychology and Forensic Studies where she completes pre-employment public safety evaluations.